> From the South: Continue straight as Route 202 turns into South High Street. When you see the Historic Court House at the intersection of High and Market Streets, you have reached the center of town. > From the North: Take Route 100 and exit at Pottstown Pike. Continue straight until it becomes North High Street. When you reach the intersection of High and Gay Streets (or High and Market Streets), you have reached the center of town. > From the West: Route 322 turns into Hannum Ave. Continue straight until you reach Market St. Turn left and continue until you have reached the center of town. > From the East: Route 3 and Paoli Pike merge into East Gay Street. Continue straight. When you reach the intersection of High and Gay Streets, you have reached the center of town. WHERE TO PARK: There is plenty of street-metered parking available throughout the downtown. However, your best, worry-free options are the two municipal parking garages -- the Bicentennial Garage & the Chestnut Street Garage -- which provide easy access to the shops, restaurants, and businesses downtown. Pay for just what you use, and have no fear of getting an overtime parking ticket! See garage payment options. > Additionally, the Justice Center Garage is FREE after 5:00pm on Friday and remains available for free parking through Sunday. > See the current Downtown Parking Map (PDF). > See the Parking Page for more details about how to park in downtown West Chester. 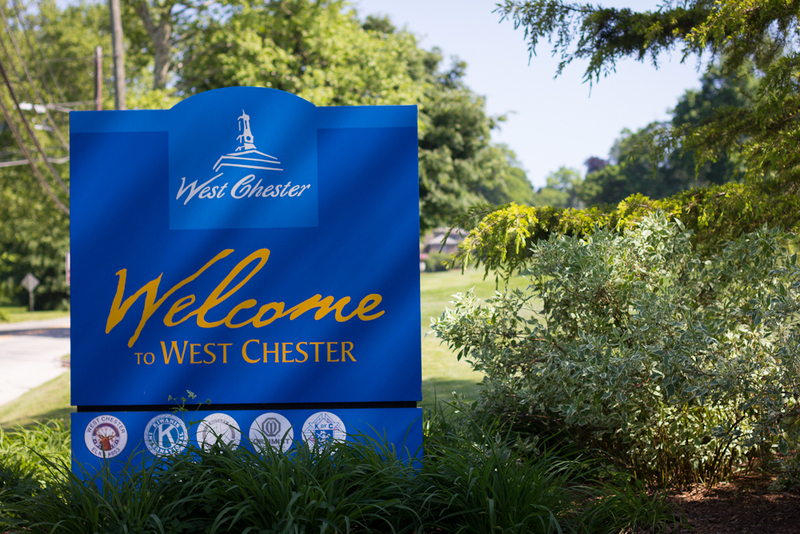 Contact Malcolm Johnstone, Executive Director of the West Chester BID.